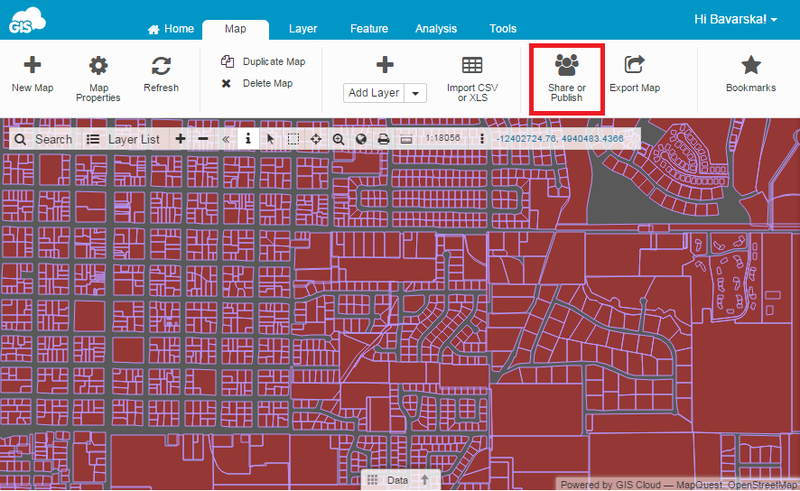 GIS Cloud allows embedding the public maps in a third party website. Here are the instructions on how to generate the code for embedding the map. 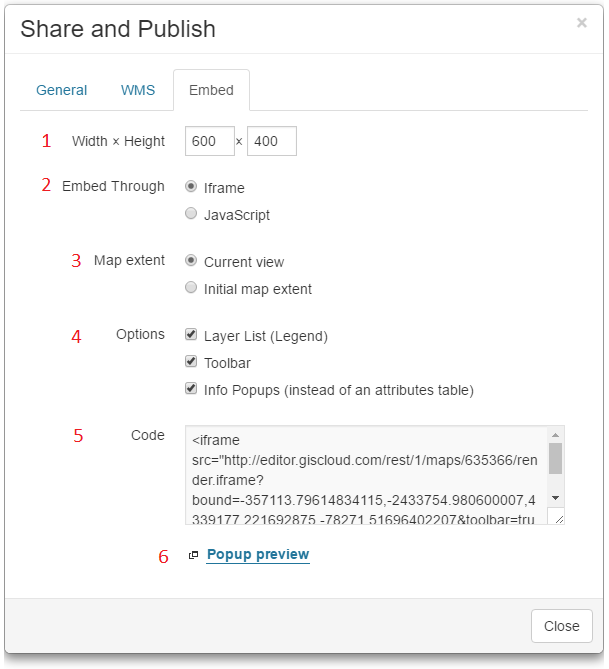 Open Share or Publish option from the Maps tab and share the map with the public. Width x Height – Define the dimensions of the map in pixels. Map Extent – choose between current view or initial map extent. Options – include Layer List (Legend), Toolbar and/or Info Popups. Code – Copy code into the part of the page where you want to show the map. Note: If the map is not visible, check if it is publicly available.